Recoil’s primary function is coil winding. We have been producing coil winding components at our modern facility since 1980. 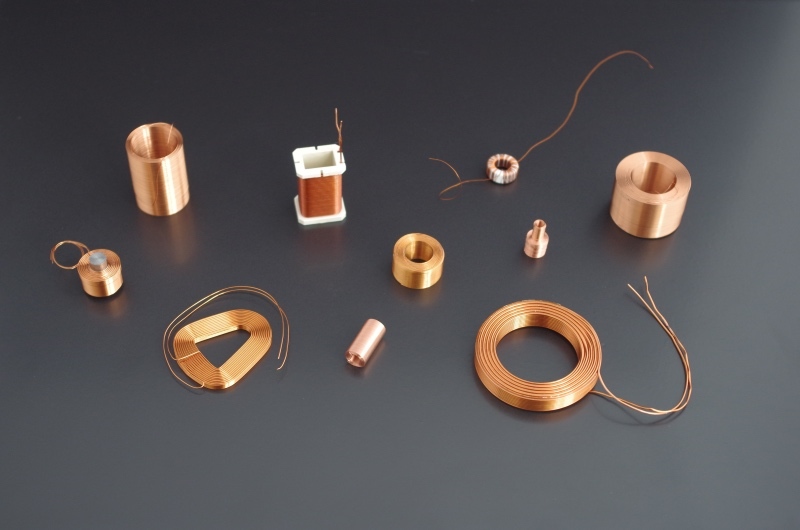 The majority of the custom coil wound components we produce use copper wire but when called for we also manufacture special purpose coils, using specialist wires such as Nichrome wire, Aluminium wire and super-conducting wire. Our highly skilled coil winders, range of CNC and manual coil winding machinery allows us to cover a vast range of winding procedures. We can produce rotating components which include magslips, synchro’s, gyro’s and other specialised electric motors such as torque motors, electric motors for Aerospace and customer specific electric motors. In addition to custom coil winding components, we also produce a range of transformers, including power transformers for lasers, high voltage transformers, both air and oil cooled transformers. We also wind custom build transformers to customer specification. Where neccessary our experienced coil winders are able to produce perfect layer coils, this style of coil winding employs the orthocyclic winding method. Using this method has allowed us to cure many of our customers problems. By reducing the size of certain coils, we have been able to produce transformers which eliminate burn out problems in high voltage situations due to the build of the orthocyclic coil .The combination of our long coil winding experience, our highly skilled coil winders and comprehensive range of coil winding machinery guarantee’s you the highest level of service from a coil winding company commited to quality.